The season’s trendiest garment to wear out on a sunny day – the crop top. Many simply call this shirt the Rose Quartz Chakra Crop Tee. This Rose Quartz Chakra Crop Tee is a tight-fitting, but still incredibly comfortable crop tee that lands just above the belly button or navel on your body. first of all, the season’s trendiest customer garment to buy and wear out on a sunny day – the crop top. Many consumers call this shirt the Rose Quartz Chakra Crop Tee. Customers enjoy this Rose Quartz Chakra Crop Tee because it is a tight-fitting, yet incredibly comfortable crop tee. Most customers buy it large enough so that the shirt that lands just above the belly button or navel on your body. • This product is 52% combed and ring-spun cotton blended with 48% polyester. • The 40 singles thread weight adds to the luxurious feeling of this crop top. •The Chakra Crop Tee is a form fitting shirt that is comfortable. •The Side seamed stitching verifies the quality and craftsmanship. Why The Rose Quartz Chakra Crop Tee? Many people believe that the heart chakra gives us courage, kindness and self-esteem. The heart chakra influences relationships and business partnerships while it supports conflict resolution. Furthermore, the Anahata (heart) chakra, also serves as the bridge from the lower physical chakras to the higher spiritual chakras. Take this top with you on your journey to heal matters of the heart. The heart colors are either green or rose quartz pink. Both green and pink stand for maximum health. The concept of The Rose Quartz Chakra Crop Tee, is to encourage peaceful mindfulness. Be mindful and thoughtful of the blissful behaviors that are associated with the chakra belief system. Each colored chakra has its own frequency of healing. Rose Quartz Chakra Crop Tee, The color of health and beauty? 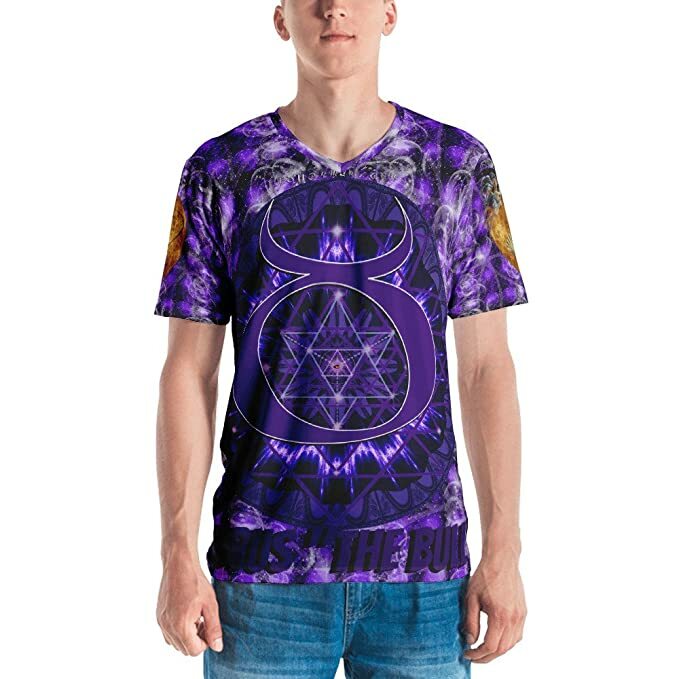 The chakra colors are also have a slight impact on people that gaze upon the garment’s colorful, beauty and playful patterns. Consider looking at this Rose Quartz Chakra Crop Tee as a wearable form of color therapy. The Heart Chakra or “Anahata,” is the green chakra. Sometimes the heart chakra is pink just like a rose quartz crystal.. This is important because the heart chakra functions as a balance between the divine sacred masculine and the divine sacred feminine. Naturally, This chakra is connected to the platonic solid known as the octahedron (air), therefore this chakra is considered both a gas and a liquid. Simply put, this chakra support communication and healthy relationships. Also, what are clouds anyway but oceans in the sky? Clients practice many different systems and interpretations of the chakras. Customers appreciate the diversity of belief systems because they vary from continent to continent. New age thinkers embrace the various different cultural beliefs. This embrace is equally true for the various schools of philosophy in the east. It is important to mention such diversity, to remind people to leave any agenda that seeks to define which system of understanding is “the best,” “the original,” or “most authentic,” out of the discussion. Think of this topic like politics and/or religion, you will have to agree to disagree for the sake of being constructive. Instead, consider looking at this description as a call for unity in collective research. The post Live Tent Talk at the Tucson Festival of Books appeared first on Whenmissbluebirddied.com. The post Celebration of Flight! appeared first on Whenmissbluebirddied.com. You get T-shirts through our Amazon Store. Lots of "prime ' shipping choices.